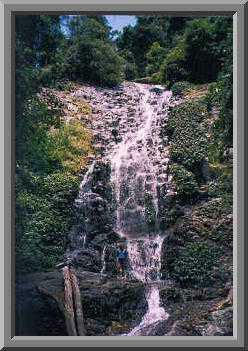 This section is on the wet side of Australia From the rainforests to the rugged coastline. But first here is a photo that might surprise. 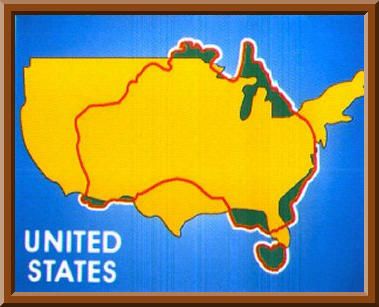 This is an actual size comparison between the U.S and Australia. 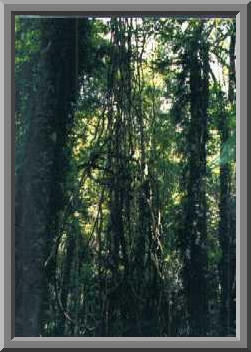 These pictures were taken in one of our rain forests in New South Wales at a place called Dorrigo. 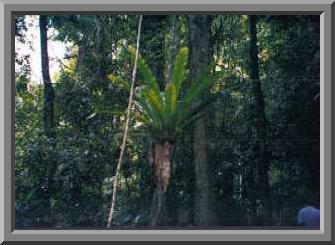 The one on the left is a Birdsnest plant about 30 feet up in a tree. 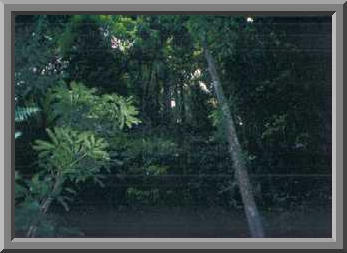 The picture on the right was taken at the base of a hill looking up at about a 45 degree angle. 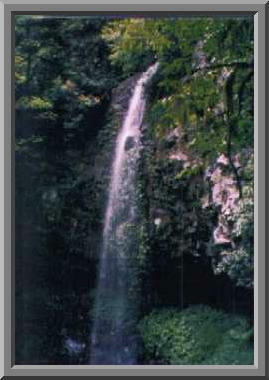 You can see what these are so just enjoy what is there.If you look closely you will see me in the bottom photo near the base of the waterfall.These photos are at Dorrigo also. 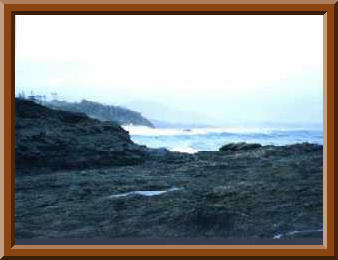 These two shots are of the coast not far from the rainforest.They were taken at a place named Nambucca Heads, it is on the North Coast of New South Wales. 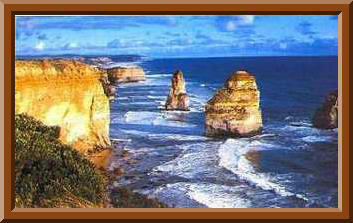 The rock formation is called the 12 Apostles.But these days there are only about 6 left. 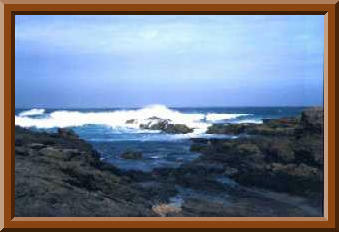 This isn't the coastline but is where we have picnic's in the warmer months.Nice isn't it? 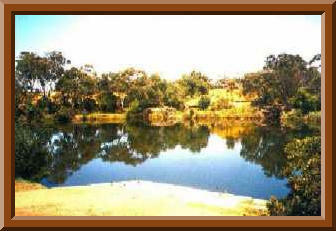 It is a very peaceful place & it is only 5 minutes from where I work & 10 from home.